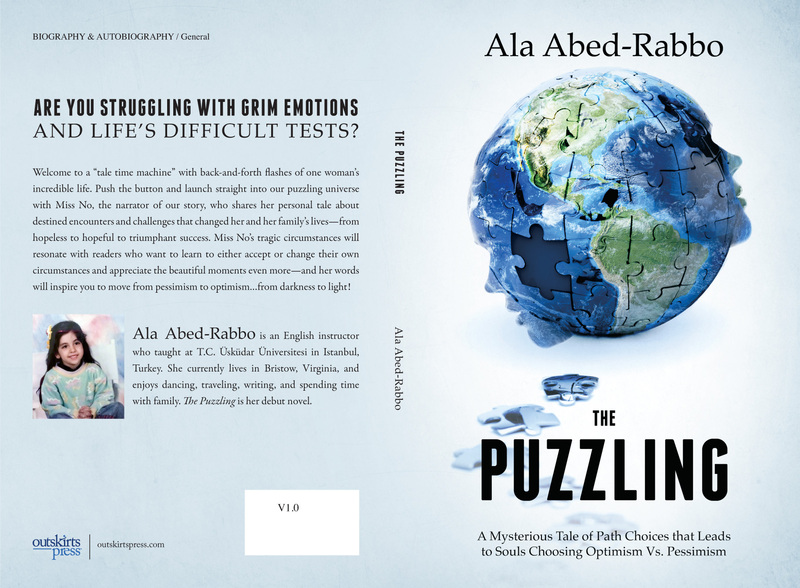 Ala Abed-Rabbo is self-publishing a book with Outskirts Press, and she wants your help deciding her upcoming book cover. Welcome to a “tale time machine” with back-and-forth flashes of one woman’s incredible life. Push the button and launch straight into our puzzling universe with Miss No, the narrator of our story, who shares her personal tale about destined encounters and challenges that changed her and her family’s lives—from hopeless to hopeful to triumphant success. Miss No’s tragic circumstances will resonate with readers who want to learn to either accept or change their own circumstances and appreciate the beautiful moments even more—and her words will inspire you to move from pessimism to optimism…from darkness to light! Ala Abed-Rabbo is an English instructor who taught at T.C. Üsküdar Üniversitesi in Istanbul, Turkey. She currently lives in Bristow, Virginia, and enjoys dancing, traveling, writing, and spending time with family. 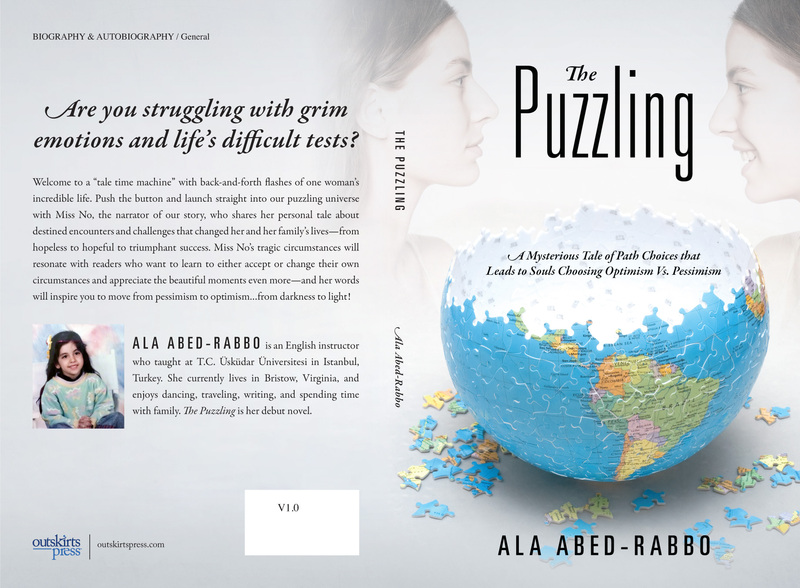 The Puzzling is her debut novel. Previous Previous post: Make Your Own Luck with 17% Off Self-Publishing! Next Next post: Reach more readers for FREE when you publish today!